Looks like this are some of my favorite. I find myself gravitating towards all black with either a statement jacket, scarf or boots especially in the winter. 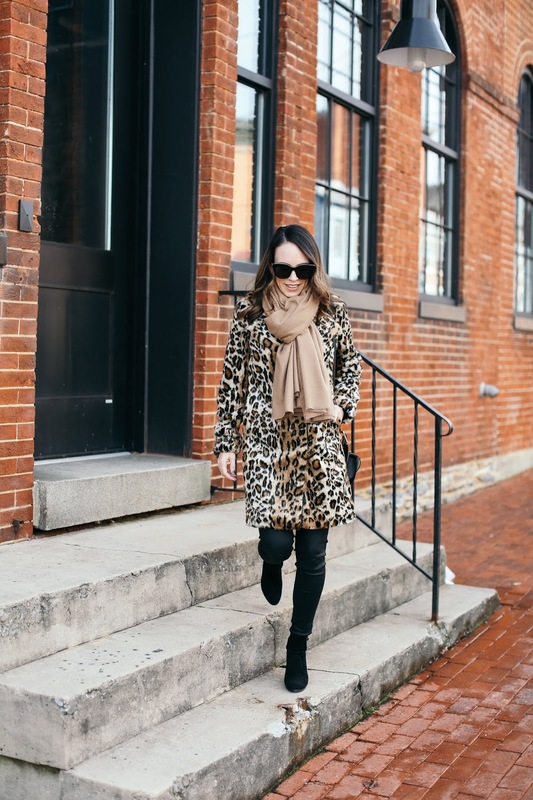 While I love the print and fit of this leopard coat, it's not the thickest so it will not be suitable for super cold days. Right now I have been loving it with a turtleneck and chunky scarf as I have worn it in this post. The fit is slim and flattering but roomy enough to allow for some light layering. I also would love this over a holiday dress or jumpsuit for an evening out!